"It's just an experiment" say some of Google's competitors. Ho, ho, ho, it's the BIG first step. Google is not an internet company, it's an advertising company. A great big price discounter, I expect. CNET: Google takes ad sales to print by Elinor Mills and Stephanie Olsen. Google recently began buying ad pages in technology magazines, including PC Magazine and Maximum PC, and reselling those pages--cut into quarters or fifths--to small advertisers that already belong to its online ad network, dubbed AdWords. Is Viral the Future of Advertising? Over at the LA Times, Chris Gaither has a excellent recap of the state of viral marketing, including a revealing case study with Borla Performance Industries. It goes step-by-step through how to create and support a viral advertisement. Marketers like viral videos because they're relatively cheap. They only have to pay to produce the video, not to buy air time. News Corp.'s Fox television network, for instance, charges as much as $613,000 to broadcast a 30-second spot during "American Idol," according to research firm Nielsen Monitor-Plus. But there are no guarantees. Advertisers are still figuring out how to measure success in this new medium. They puzzle over why one spot spreads across the Web like wildfire, while others burn out. Marketer Joseph Jaffe says viral ads can be funny, patriotic, heartwarming, gossipy or bizarre. But they can't be boring or sell too strongly. "People are very tuned into the fact that whatever you forward to your e-mail list says something about you," he wrote in his book, "Life After the 30-Second Spot." "And hardly anyone would ever send a salesman over to a friend's house." Competition to sell muscial instruments to the masses has never been fiercer. Low prices are everywhere. So how can Guitar Center (the Wal-Mart of instruments) compete? By recognizing the competition faced by locally based musicians. Guitar Center has developed a sound understanding of musicians who want to establish a following and begun providing them all sorts of tools and programs like the one mentioned below. 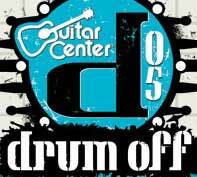 Guitar Center has developed a series of contests (think "American Idol" but with instruments) that start out with musicians competing in their hometown stores for the privilege of eventually performing nationally before a panel of well-known judges -- among them, Marilyn Manson's guitarist and the drummer from Red Hot Chili Peppers. Readers of Cooking Light are being invited to magazine-organized parties. A recent event in Midtown Manhattan drew 250 attendees who paid around $50 and received gift bags from the sponsors. Cooking Light is being choosy about advertiser involvement and readers are still organizing their own events as well. Advertisers like Woodbridge Wines are enthusiastic. Magazines Stuff, Cargo and Country Home are also experimenting with events. I recommend this entire article by David Carr which does a good job of analyzing how citizen journalism works on the web. Influence does not belong to anyone with a blog. It belongs to committed experimenters with passion and discipline. Like the people at Pitchfork. The nexus of influence has shifted in the last few years. Destroying someone's career or pulling work from obscurity used to be the province of well-financed mass and trade publications, but now anybody with a voice strong enough to stand out on the Web can have a real impact - and maybe make a couple of bucks in the process. Alan Webber and William Taylor may finally see the business publications picking up on some of their ideas. Joanne Lipman created the Personal Journal at the WSJ. And David Carey worked briefly at Gruner & Jahr on Fast Company and Inc. I predict the development of the business lifestyle magazine. It's been a long time since working was glamorous! Advertising is down at the three major business magazines - BusinessWeek, Fortune and Forbes - but Conde Nast officials are confident they can find a market. They have hired the deputy managing editor of The Wall Street Journal, Joanne Lipman, to lead the editorial effort, and are moving David Carey, publisher of The New Yorker magazine, another Conde Nast publication, to run a new business group that will oversee the new ventures, as well as others still being determined. At iMedia Connection, Pete Snyder of New Media Strategies, has an excellently reasoned explanation of why companies need to train all their employees to become brand ambassadors...because they will blog. Blogs are word-of-mouth on speed -- peer-to-peer communications that will trump top-down marketing nearly every time. A blog, whether operated solo or as part of a larger community of bloggers, is a communication channel that can reach a huge number of people very quickly. Blog postings can get lots of hits on search engines -- often surprising many bloggers when their entries rocket to the top of search engine listings and into mainstream pop culture. It is for good reason that it has been said "blog" is an acronym for "better listing on google."